A Civil War Valentine dated Feb. 14, 1863. The tent’s flaps open to reveal a soldier composing a love letter while envisioning his beloved. 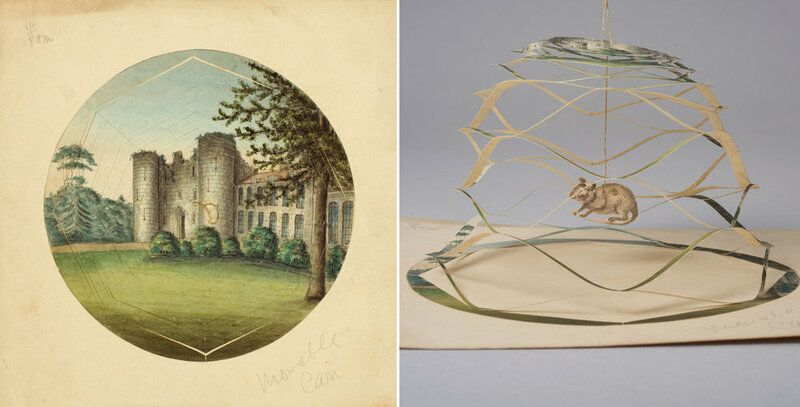 A cobweb Valentine, probably British, circa 1830-60. A string lifts up the castle to reveal a mouse in a trap. 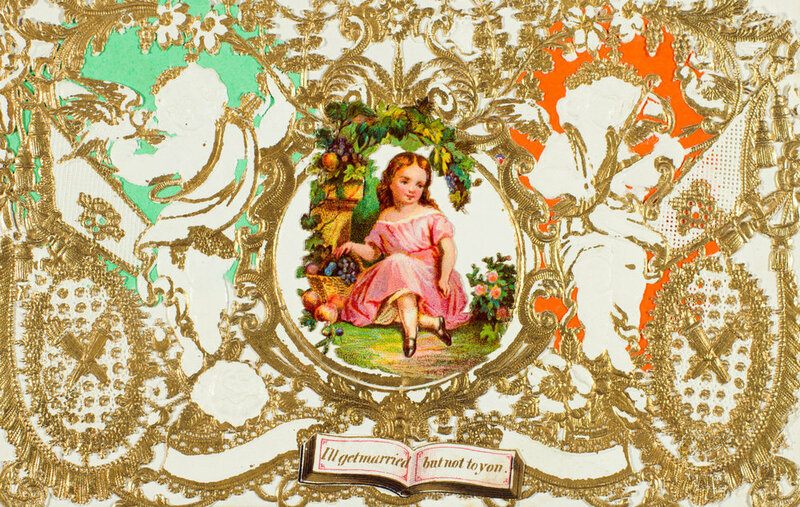 A card from about 1855 with a biting message: “I’ll get married but not to you.” It was created by Esther Howland, one of the most successful Valentine producers of the 19th century. 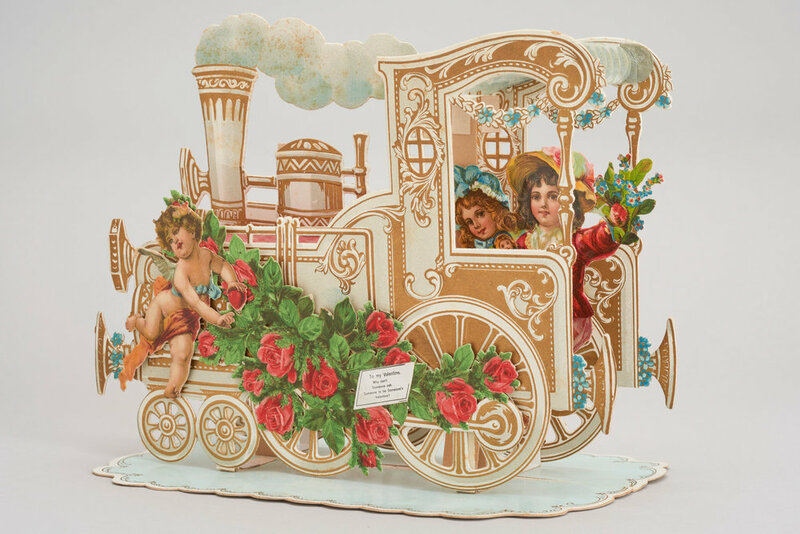 This German card from around 1900 folds open into a three-dimensional train. 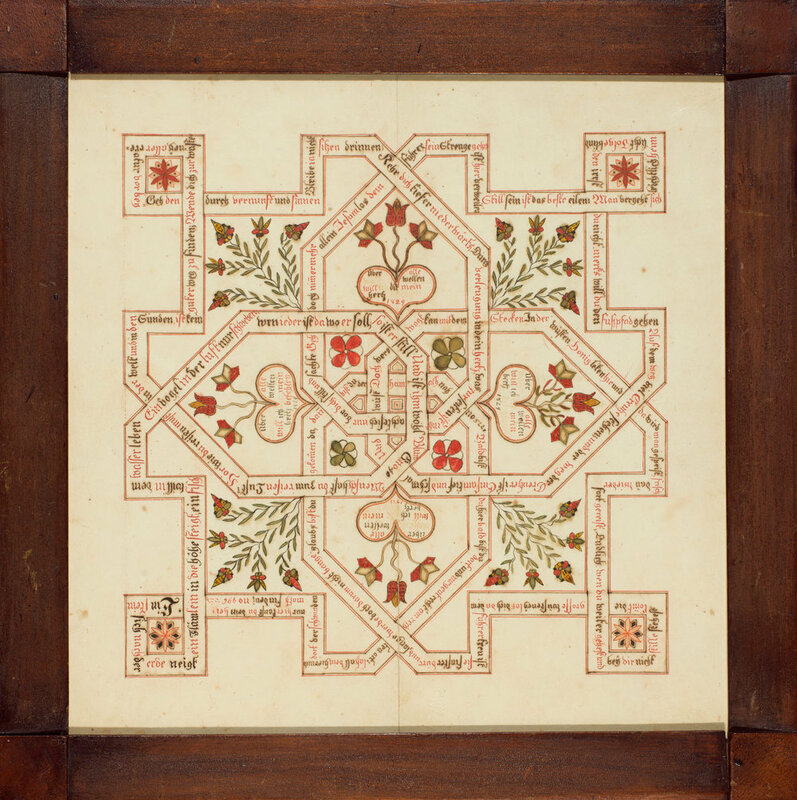 A fraktur labyrinth, a style of Pennsylvania-German folk art, dated 1824. 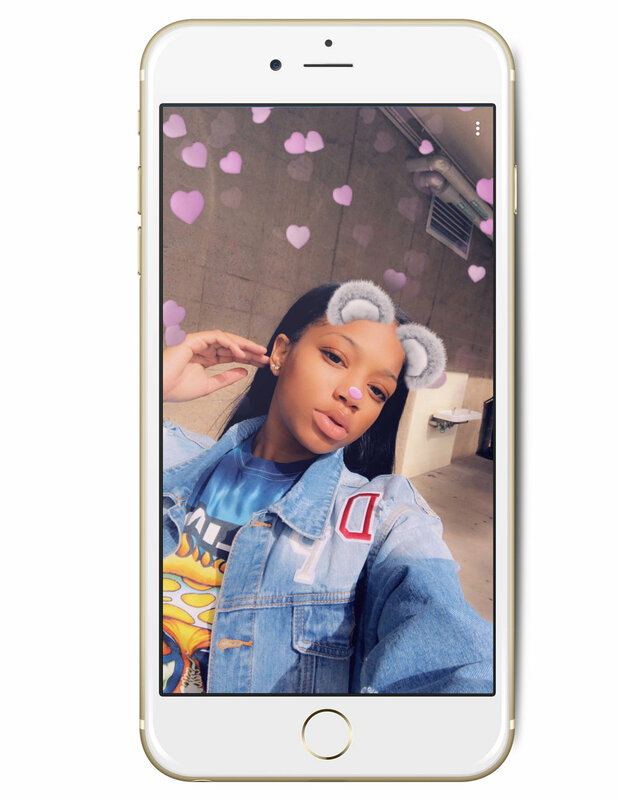 The pattern is designed as an endless knot, offered as a token of affection. A satirical “vinegar” Valentine from America, circa 1855. A devotional card made in Paris in the mid-1800s that reads, “Crown of sorrows, crown of glory.” The image is engraved on lace paper, with applied elements including die-cut and gilded scraps, tissue and dried flowers. 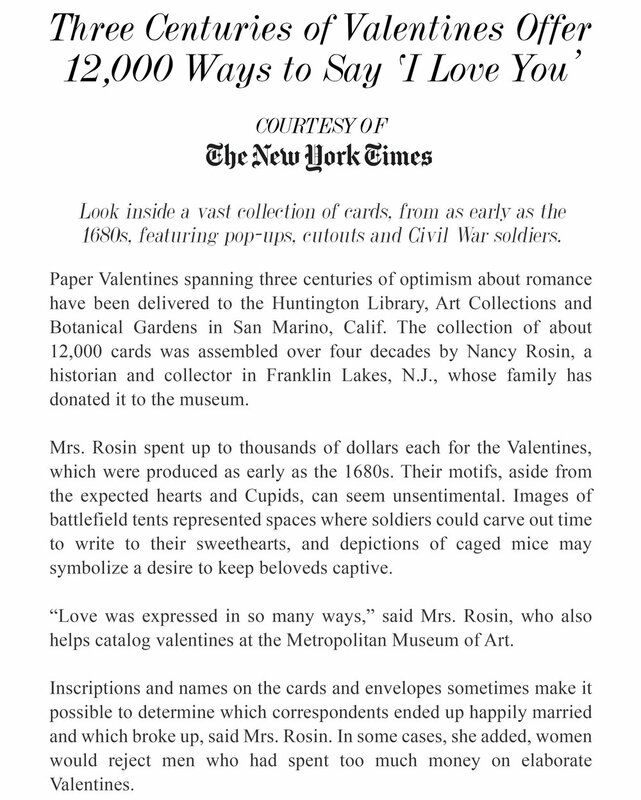 A British cut-paper Valentine card, made by Elizabeth Cobbold around 1810. 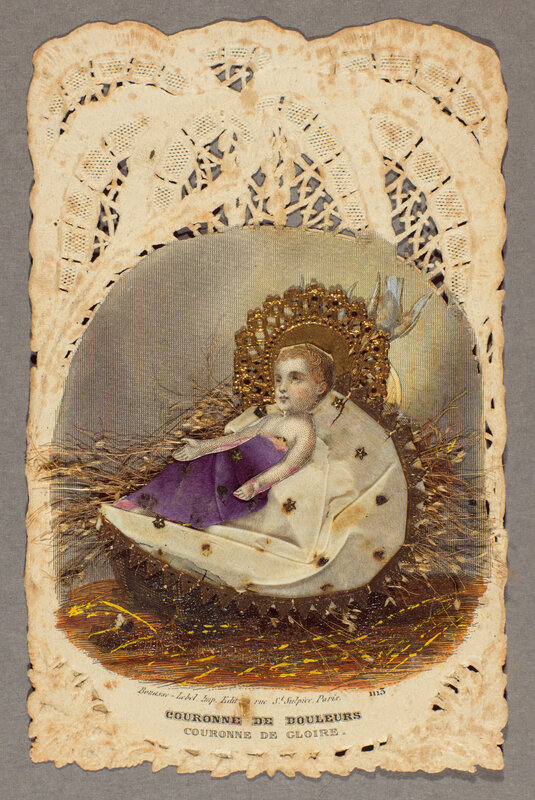 An Esther Howland card from about 1870.